Ada Police are looking to identify this suspect from a robbery. 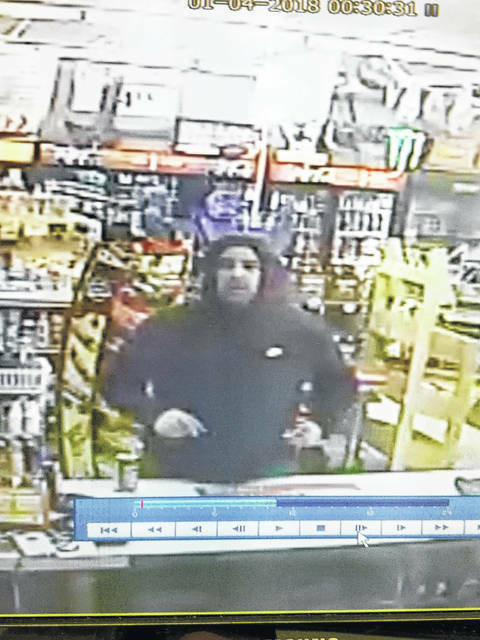 ADA —The Ada Police Department is looking for the public’s help in identifying a suspect of a robbery. 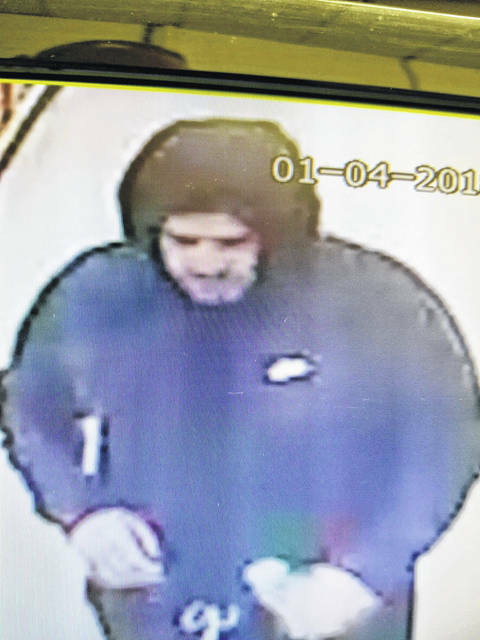 According to a news release, at 11:30 p.m. Wednesday, a white male wearing a dark blue hoodie and dark colored sweat pants robbed the 302 Carryout in Ada of an undisclosed amount of money. The subject is described as approximately 5-foot-10, heavy build and brown facial hair. The subject did not brandish a weapon. The Ada Police Department is being assisted by the Ohio Bureau of Criminal Investigation in processing evidence left behind by the subject. If you have information, call the Ada Police Department at 419-634-0010.
https://www.limaohio.com/wp-content/uploads/sites/54/2018/01/web1_Ada-Robbery-1-toned.jpgAda Police are looking to identify this suspect from a robbery. https://www.limaohio.com/wp-content/uploads/sites/54/2018/01/web1_Ada-Robbery-2-toned.jpgAda Police are looking to identify this suspect from a robbery.